On Valentine's Day, actors Sayyeshaa Saigal and Arya confirmed that they are getting married in March. They announced the wedding on their respective Twitter accounts with the caption, "Happy Valentine's Day and blessed." Sayyeshaa, grandniece of Saira Banu and Dilip Kumar, is best-known for her role in Ajay Devgn's Shivaay while Arya is an established Tamil actor. Sharing a picture of them together, the couple said in a statement, "With the blessings of our parents and family, we are delighted to share with you the most beautiful day of our lives. We are getting married this March! We seek your love and blessings in our new journey of happiness and togetherness - Arya and Sayyeshaa." However, the soon-to-be married couple haven't revealed their wedding date as of yet. 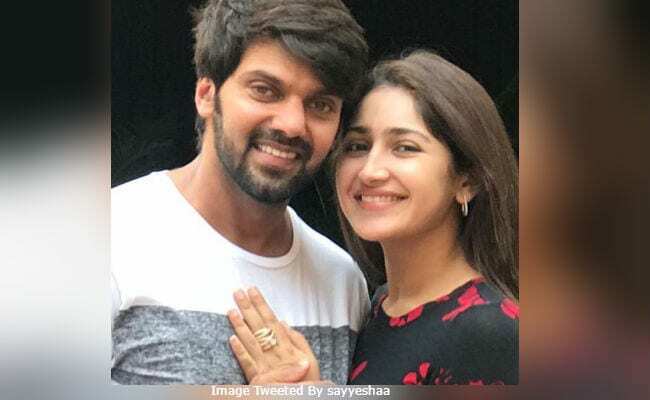 Last month, several news websites reported that Sayyeshaa and Arya will get married on March 9 in Hyderabad as per Muslim traditions and the wedding will be followed by a grand reception. 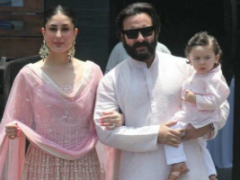 Sayyeshaa is the daughter of actor-producer Sumeet Saigal and actress Shaheen Banu, known for films such as Maha-Sangram and Ayee Milan Ki Raat. Shaheen is Saira Banu's brother's daughter. She and Sumeet Saigal were married from 1990 to 2003. Sayyeshaa reportedly met Arya while shooting for 2018's Ghajinikanth. The couple are currently filming Kaappaan, also starring Mohanlal and Suriya. Kaappaan is scheduled to release in October 2019. 2015's Akhil marked Sayyeshaa's debut in the entertainment industry and a year later she starred in Shivaay (her first Bollywood film). Meanwhile, Arya is best-known for films such as Arinthum Ariyamalum, Naan Kadavul, Madrasapattinam, Raja Rani and Arrambam.